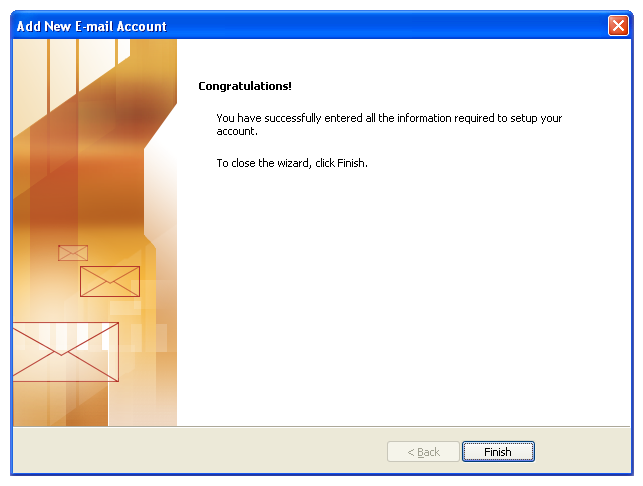 You must press “New”… (You will not need to do this if the New Account Wizard opened automatically). 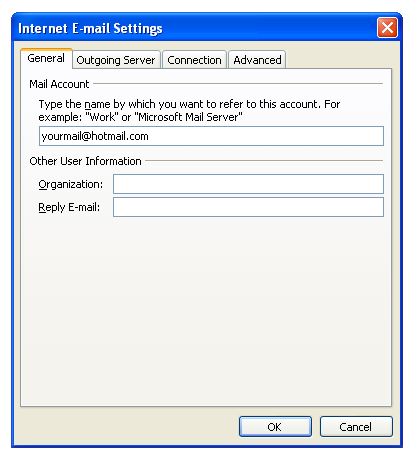 I cannot set-up hotmail on Outlook 2003. 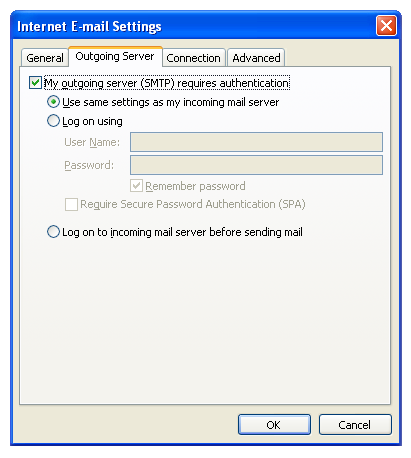 You cannot select TSL as the outgoing server (smtp) security like you can in Outlook 2007. 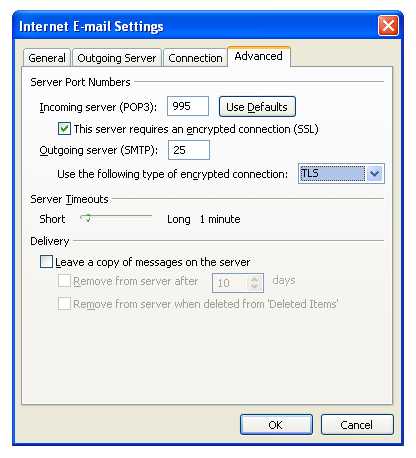 See Internet email settings (POP3) > more setting > advanced. 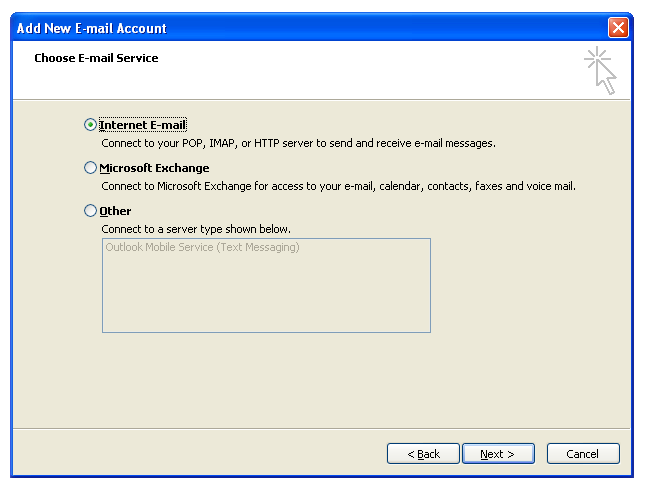 The bucking fasterds at Microsoft opened up hotmail for use in outlook, but you have to pay to upgrade to 2007 for it to work. Classic. 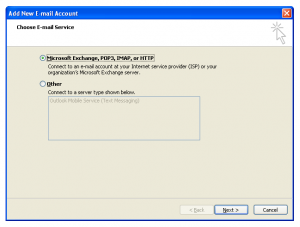 You can configure Outlook 2003 to use Hotmal accounts! 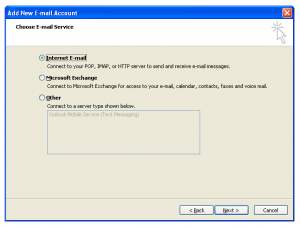 Take a look at the instructions I published and you’ll see some comments on the differences between Outlook 2003 and 2007! I you have any further question, just comment again! 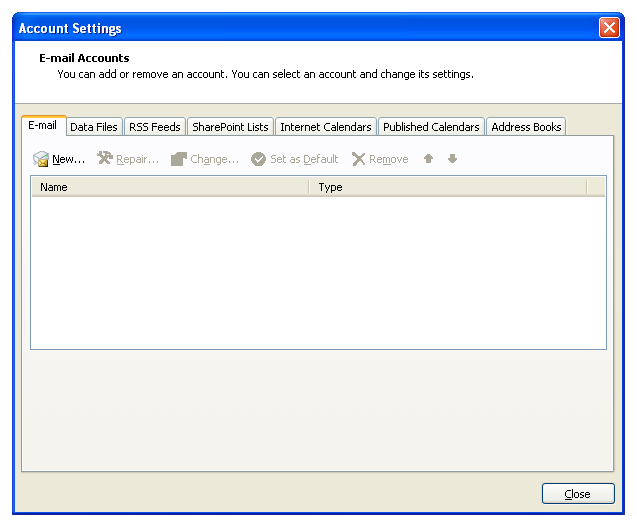 I have recently set up an outlook account from the instructions above. They worked great for awhile. 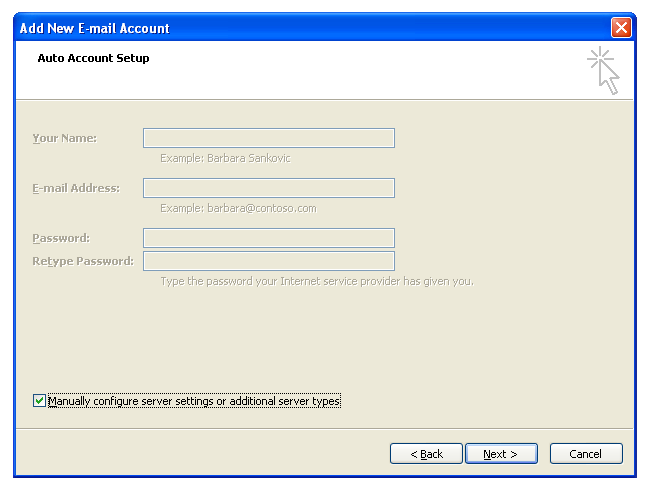 Now I can not send a new email. I can send a reply. 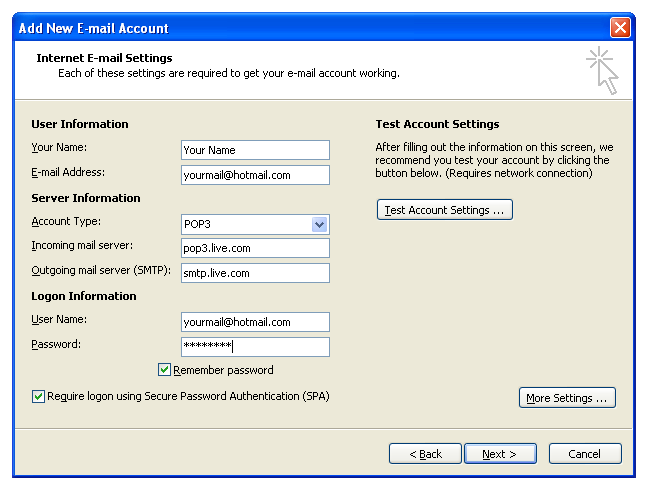 The only thing different is that I tried to set up my itouch with email. But I don’t see any changes in the original set up to not make it work. Thank you, I hope you can help. 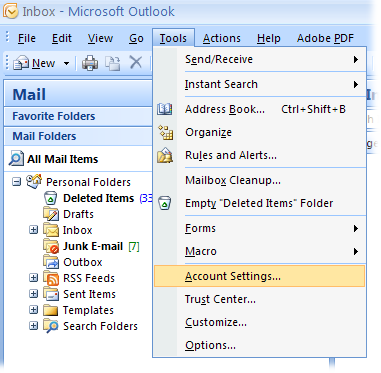 When you reply a message, Outlook automatically sets the new mail to be sent using the same account from which the original message was received, ignoring the default account. 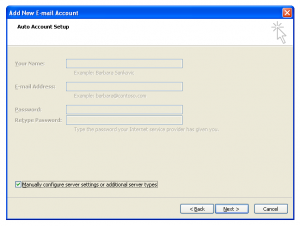 On the other side, when you create a new message it will be configured to be sent using your default account. 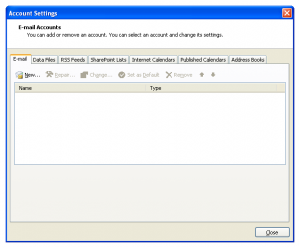 You can just simply set back your previous account as the default one and it should work again without problems. 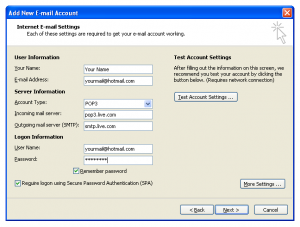 I’ve followed your steps exactly – It completes when logging onto incoming mail server but when it goes to send a test email it fails and cannot send – im using live.co.uk email account do you know what im doing wrong? 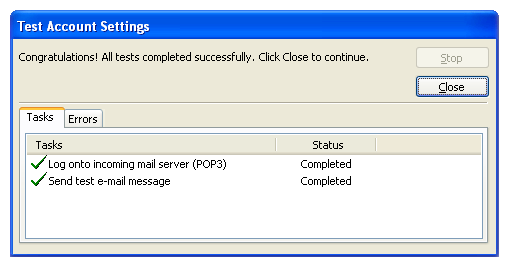 I have a problem in synchronising my hotmail and outlook. 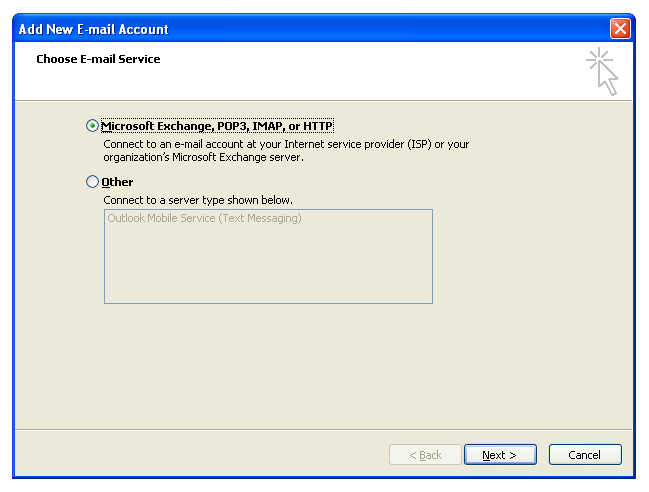 out my surprise all my other emails, yahoo and Gmail can synchronise but hotmail always shows error.